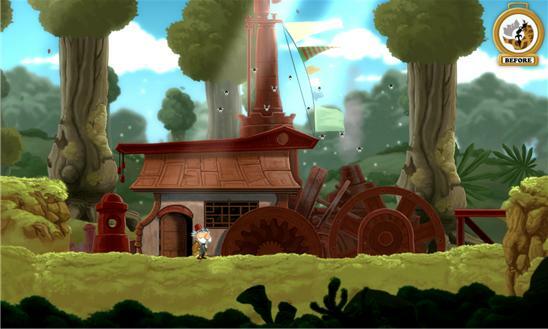 Chronology is an episodic puzzle platform adventure starring The Inventor and The Snail. Try "Part I" with 3 chapters for FREE. "Part II" is available in the game as an in-app purchase, with additional parts following later. • Nordic Game 2014 Indie Sensation Award Nominee • "The gameplay mechanics in this game are unique and extremely well done." (93% - Shoost.co) • "The game is outright beautiful" (90% - gamesxtreme.com) • "When Braid and LIMBO had a pretty baby" (80% - bagogames.com) • "There’s a lot to love about this simple yet pleasing title" (80% - twinfinite.net) In Chronology, you manipulate the past and the future, in order to fix the present. 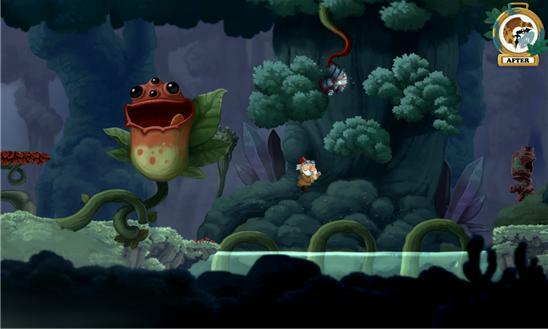 Play as the Old Inventor and his sidekick The Snail, and take advantage of their special abilities - travel back and forth in time, stop time, manipulate objects and solve puzzles. Key Features: • Time changes everything - Solve puzzle by travelling back and forth in - or freezing - time. • Characters with heart and soul - Switch between two lovable characters with different abilities and combine their strengths. • A mind-bending story line. As the story unfolds, learn how the main character has already played a central role in shaping the future of his world. • Episodic content - new puzzles to solve and places to explore in the further updates. • Fully voice acted in English. • A magical, colorful, vibrant and living universe that mixes elements from different times and cultures. • Amazingly animated characters, machines and creatures, inspired by Hayao Miyazaki (Howls Moving Castle, My Neighbor Totoro).